The Wolfe Brothers kicked off 2019 in fine style, with shows packed to the rafters. Now, the Tasmanian country rockers have announced the next string of dates on their Country Heart National Tour as they continue to take their special style of country rock out on the road. With the Tamworth Country Music Festival just around the corner, and five Golden Guitar nominations up their sleeves, The Wolfe Brothers could be forgiven for taking a bit of a break. But that’s not how this band earned the reputation as one of Australia’s hardest working groups on the touring circuit today. Instead, they’ve announced a swag of new dates around the country and they can’t wait to keep sharing their music with fans everywhere. The Country Heart tour celebrates the band’s fourth studio album debuting on the ARIA Charts at #9 in March 2018. The past year has seen the Tassie boys playing to packed houses around the country. Aside from their own headlined shows, they were also out on the road with their mate Lee Kernaghan on his 25th Anniversary Tour Boys From The Bush. To say that 2018 was a massive year for the band would be an understatement. The Wolfe Brothers garnered themselves an ARIA nomination for Best Country Album, and have five Golden Guitar nominations at this year’s Tamworth Country Music Festival – Single Of The Year, Contemporary Country Album Of The Year, Country Music Capital News Group Or Duo Of The Year, APRA AMCOS Song Of The Year and CMC Video Of The Year. 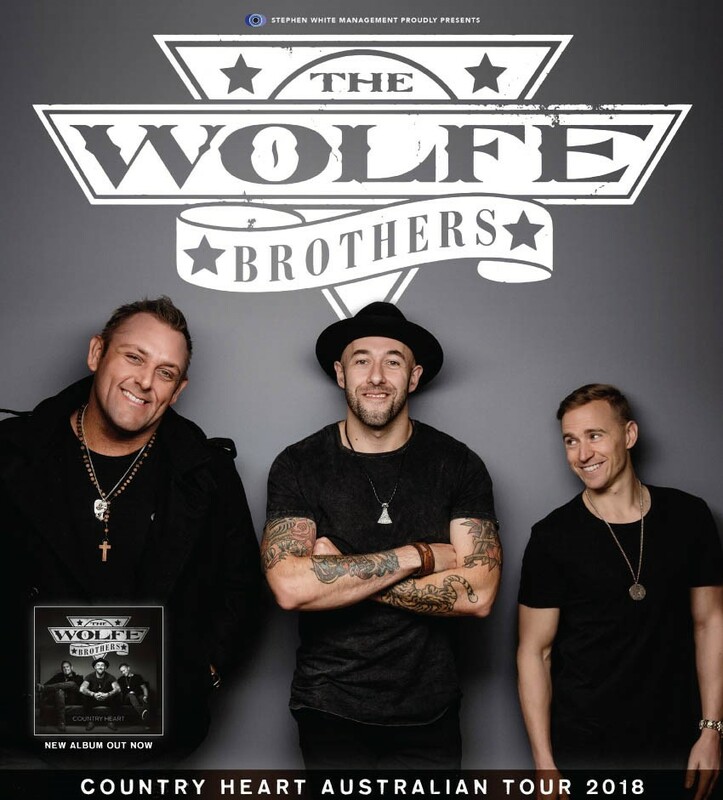 When The Wolfe Brothers announced their first Country Heart show in Tasmania back in May 2018 it sold-out immediately. Audiences were certainly in for a treat when the band took to the stage, showcasing the tracks that generated them acclaim from their fourth long-player and all the hits from their previous releases. Country Heart’s debut at #9 is the band’s highest ARIA chart entry position to date beating their last album, This Crazy Life, which came in at #10 on release in June 2016. This is a great effort when you consider Ed Sheehan held three of the eight spots before them. All four of The Wolfe Brothers albums have entered the ARIA chart in the Top 20 all genre ARIA chart. The last two albums, Nothin’ But Trouble and This Crazy Life, and this new release Country Heart, have all debuted on the ARIA Country Chart at #2. 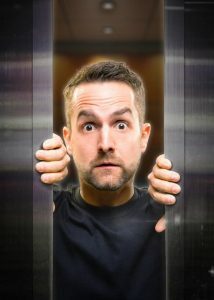 The band penned the album on a songwriting trip to Nashville last year where they collaborated with a number of different writers, with the objective to create a different sound and deliver songs that would hopefully take the band to the next level. Tickets for The Wolfe Brothers Country Heart Australian Tour 2019 are on sale now. The Wolfe Brothers fourth studio album, Country Heart, is out now through ABC / Universal Music.